Travel website Booking.com will expand its offering of non-hotel accommodation in India, a top executive said, in a bid to gain an edge over local rival MakeMyTrip and US-based peer Airbnb. 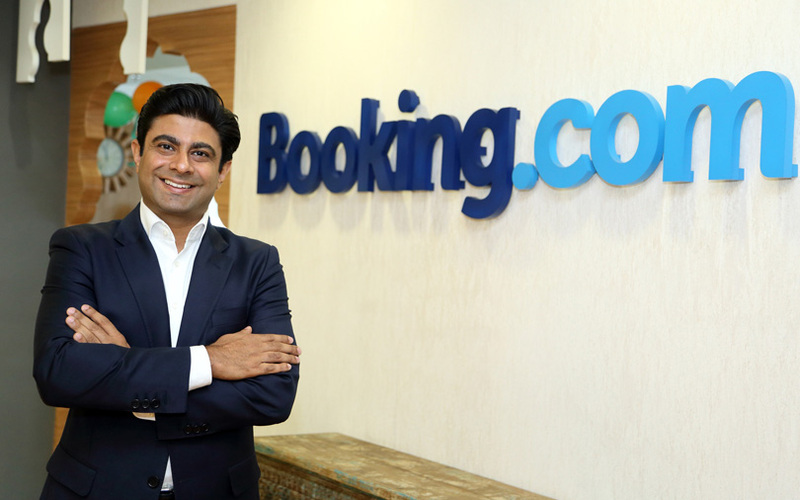 Booking.com started its India operations in 2012 but has faced stiff competition from not just homegrown online travel companies such as MakeMyTrip, Yatra and Cleartrip but also from hotel aggregators such as Oyo and Treebo, besides global competitors Airbnb and Expedia. Competition is set to intensify with homegrown online retailer Flipkart tying up with MakeMyTrip to provide its users travel options. Booking.com says Indian travellers are increasingly showing preferences for non-hotel accommodation options such as villas, havelis and apartments, less expensive options like homestays, and eco-friendly options such as tree houses and houseboats. The company has an inventory of more than 44,000 rooms in India, including a large number of non-hotel rooms that help it take on rivals like Airbnb, Vikas Bhola, head of Booking.com’s Indian subcontinent business, told TechCircle. “We are very competitive with Airbnb, actively building our supply and business in this space,” Bhola said. Outbound tourists from India are also a big segment for the company, he said, without giving details. While the company didn't give a break-up of its India inventory, the plan to increase the share of non-hotel rooms is in line with its international strategy. Globally, non-hotel rooms make up around 70% of its inventory. Booking.com is owned by US-based Booking Holdings Inc., previously known as Priceline Group. The group also runs another global online travel company Agoda. NASDAQ-listed Booking Holdings has a market value of a tad less than $100 billion. Privately held Airbnb is one of the world's most valued startups, at around $31 billion, and has expanded rapidly in India. Bhola said India is an important market for Booking.com. "The growth opportunity is huge. The business is evolving, GDP and per capita are growing and that makes it interesting," he said. As part of efforts to deepen its engagement in India, the company has also started its Booking Booster programme to support selected travel startups. "These are startups that help in running ecologically sustainable travel. We don’t take equity in those businesses," Bhola explained. The company, which has four offices and 70 employees in India, has also made other tweaks in its local strategy. When Booking.com realised that most Indians don't have a credit card, it extended the book-now-pay-later facility to debit card users as well. “We have a localised operation model for India," Bhola said. Online travel agencies such as MakeMyTrip and Yatra are more than a decade old, and get a major part of their revenue from flight tickets. Booking.com, however, gets bulk of its India revenue from accommodation bookings. So, has the emergence of hotel aggregators like Oyo, Fabhotels and Treebo given rise to new challenges? Bhola said Oyo and other aggregators are not direct competitors as only loyalists of these brands will book directly on their websites or apps. "Only loyalists will bypass an online travel agency and go to such brands. We operate in the larger market," he said. However, Bhola admits that companies like Oyo helped the industry grow by taking a lot of low-cost hotel room inventory online. This helped increase demand, too, he said. As for competiting with OTAs, Booking.com is worried about their discounting strategies. OTAs like MakeMyTrip-Ibibo, Yatra and Cleartrip have made losses in the past couple of years after offering massive discounts to attract more customers to gain market share. Bhola said discounting is not good for the industry over the long term, unless it results in a permanent change in users' behaviour. However, the situation is likely improving, helped also by consolidation in the industry after MakeMyTrip acquired ibibo Group. “Our policy does not allow us to be spendthrift like other OTAs have done in India. It is a great challenge. However, I think it is rationalising now," Bhola said. *This article has been updated to modify the share of non-hotel rooms in the company's inventory.